One of the types of attic insulation that I find occasionally in my home inspections is a loose-fill product called vermiculite. It can be gold, light brown or gray in color and bears a resemblance to small piece of popcorn. Up until the early 1990’s much of this insulation was sold in bags under the brand name of Zonolite. About 75-80% of the vermiculite sold in the U.S. for attic insulation was produced from mines in Libby, Montana by a company named W.R. Grace. The company became aware that there were veins of naturally-occurring asbestos where the mica was being mined. This was the beginning of what eventually became numerous lawsuits and W.R. Grace filing for bankruptcy. Asbestos is one of those buzz words that most people don’t want to hear when they own a home or are contemplating the purchase of a new home. Rather than flying into a panic, it’s important to put everything into context if you find yourself faced with this condition. The primary way for asbestos in any building material to affect your health is when it exists in a friable form. This means that the fibers can easily become airborne. 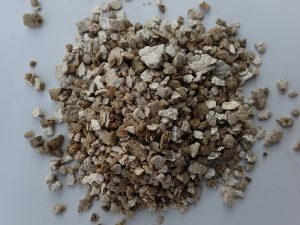 Since vermiculite is made from a mineral that can be readily crushed or pulverized, the asbestos in this material is hazardous when it is inhaled into the lungs. The long needle-like fibers lodge in the lungs and over time can contribute to such diseases as mesothelioma and lung cancer. That may sound pretty grim, but if you don’t inhale it you can’t get sick from it. The EPA guidance for this vermiculite is don’t disturb it and assume it contains asbestos until proven otherwise. If you have vermiculite in the attic and you never go up into the attic, you most likely won’t ever have a problem. 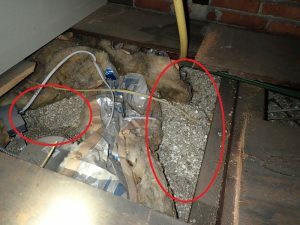 Problems arise when you disturb the vermiculite by walking in the attic, circulating the air with an attic fan, installing recessed lights in the upper floor, or perform other renovations that require cutting holes in the ceiling. In older houses that were built with balloon framing, some of this material can also travel through the exterior wall cavities and end up in the basement. If you decide to remove the vermiculite from your home, there may be help. The Zonolite Attic Insulation Trust, or ZAI Trust, was established in 2014 when W.R. Grace emerged from bankruptcy. This trust contains funds that can be used to assist in the removal of vermiculite insulation if certain qualifications are met. 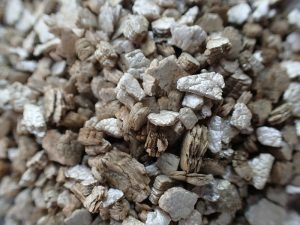 Not all vermiculite used as attic insulation came from the Libby, Montana mines and therefore not all vermiculite is contaminated with asbestos. The first step in qualifying for reimbursement from the trust is determining whether or not you have a particular type of vermiculite that originated from the Libby mines known as Zonolite. Sometimes you can find old paper bags in the attic with that brand name printed on them. Taking a photo of the bags is sometimes enough to qualify. If no bags exist, then the next step is to send in a sample to be analyzed. Some homeowners take their own samples and submit them for analysis, but I think it’s wise to hire a qualified asbestos testing professional to do this for you. After the sample is collected and tested, you may qualify to receive partial reimbursement for removal of the vermiculite. Check out the following link to the ZAI Trust for more information. I strongly recommend that you do not attempt to remove vermiculite insulation as a DIY project. The risks are just too great to you and your family, and the material must be disposed of properly. Find a licensed asbestos contractor who specializes in vermiculite removal.